The Pokemon Go craze is relatively recent in Canada. 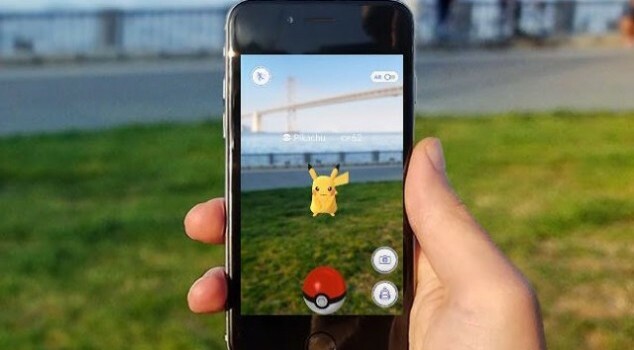 In fact, the game is not really available in the country and those who are stumbling around on the city streets chasing ephemeral characters from a game have fudged their country of residence just to play. From that simple example—even ignoring the ubiquitous news articles about the game—we might gain some insight into how compelling it is for its players. I was discussing the popularity of the game recently with my young friend who is an avid player, and she confirmed some of my suspicions. 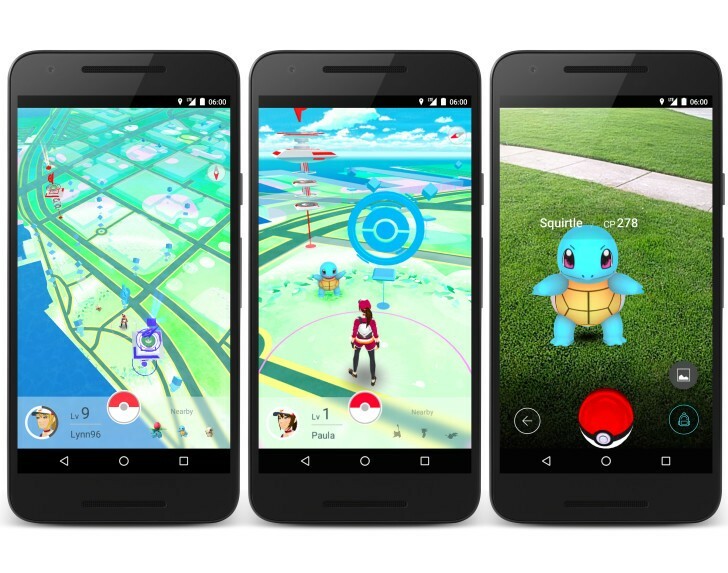 Other than the many other games available on a phone, Pokémon Go ties the players’ real world location to a virtual location. In the virtual world Pokémon figures abound, and in the “real” world they are located in strange and perhaps surprising places. The phone’s geolocation function allows those two worlds to align, if not to merge completely. Thus while those who have scarcely stirred from the couch for years totter about on unfamiliar limbs searching for jumping animated figures, they are simultaneously navigating their own world. This is in part the attraction of the game. The disconcerting flavour that the virtual adds to the mundane livens up the players enough to walk around waving their phones like dowser’s wands, seeking digital characters that only have meaning on the inside of the world. Typically an online game flirts with the “real” by bringing together strangers who can converse in real time about the game before them. These popular role-playing games attract partially because of this connection to the phenomenological world. 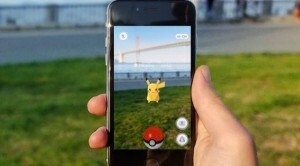 Pokémon Go carries that interest further and paints the game world onto the player’s lived experience. I was able to observe a few players before I knew they were playing the game. I was sitting in my car waiting for my friend and I saw two university-aged women walking in circles but seemingly with some obscure purpose. To me it looked as if they were seeking a Wi-Fi signal. The two friends split up and walked around somewhat blindly waving their phones and holding them above their heads and periodically checking them. The only feature of their aspect that informed me that it was more than bandwidth was their periodic delight. 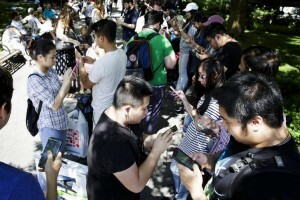 Although Pokémon Go has proved to be as popular as Twitter, even if it is not available in every country, my friend assures me that its popularity will fade. The younger people will lose interest after the hype for the fad has passed, and the older people are mostly stalking school acquaintances on Facebook and signing into dating sites. My friend tells me that only the diehard fans of the television show, people of her generation, will continue to play after a year has passed and the fickle public mind turns to a new fancy. The game itself, however, I am assured, will shift the internet slightly. Like a monstrous soap bubble, the internet is ballooning larger with each passing year. Like the bubble it resembles, however, it is as light as it is fragile. A single innovation which adds a note of reality to the fantasy world that people would rather occupy, can make the entire bubble shudder and shimmer. 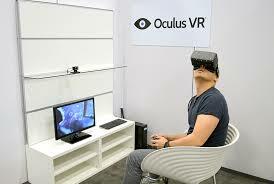 Oculus Rift was supposed to be that innovation, but its headset is clumsy and too much of a leap for the purchasing public. Pokémon Go is the baby step that is required for people to realize the virtual world can be traced over their felt reality, and like those readers of the underground map of the London Tube, the lines do not have to match exactly. A linkage which is close enough will provide the initial impetus we see now around us. The people waving their phones in the air to engage in imaginary battles while their fellows are shot in real world conflicts, are the early adopters in a world which too eagerly embraces the fancy and avoids the mud-spattered road beneath their feet. This entry was posted in Culture, Internet, News, Singularity, Social Media and tagged Oculus Rift, Pokemon Go. Bookmark the permalink.